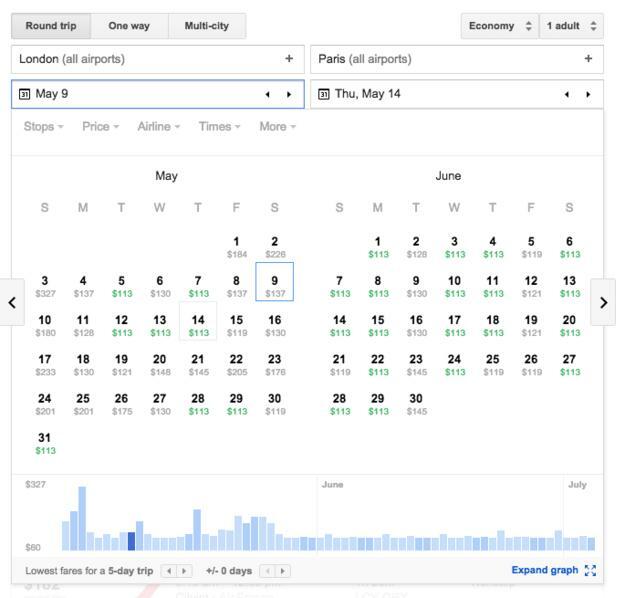 Use the calendar function in Google’s flight search to compare the prices on your intended dates of travel with other days in the same time frame. The site will highlight in green the best prices on the calendar so that you can get a good deal if your schedule permits. 2. 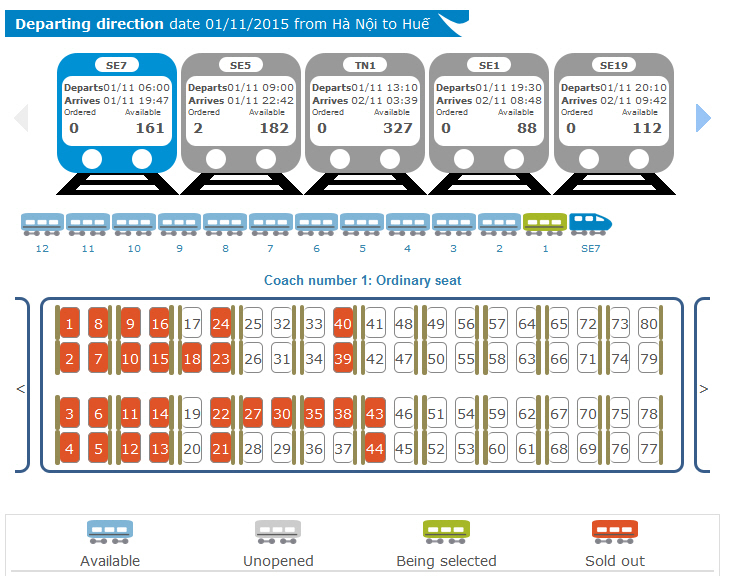 Travel tip to save money: Book tickets for off-peak days and times. Flights that depart after 8pm and arrive very early in the morning are often offered at lower prices than other times. Red-eyes are hard to find on some airline websites, so you might need to ring the airline or a travel agent to request red-eye prices. Booking a flight out on Tuesday or Wednesday usually allows for the cheapest seats, but if you must fly out at the weekend, Saturday is the best choice. 3. Get the most for your money by checking out a seating plan. Before you purchase your seats, check your flight on Seatguru to make sure you’re getting a pleasant experience for your money, or to know which seats might be cheapest based on their comfort. 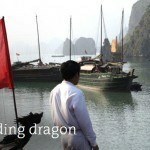 This can be applied when you book train tickets in Vietnam. No website works better than the official website of Vietnam Railways, where you can click which seat you like, then book online. This useful function has recently been introduced since summer 2015. Opt the seat by clicking on its location and its train compartment. Different seat location determines low – high ticket price. This new function is introduced from May 2015 by Vietnam Railways. This allows bookers to choose the best seat to save their travel budget. 4. Look at return prices even if you’re flying one-way. If you’re moving or on a multiple stop journey, you’ll notice that one-way tickets can be insanely expensive. Try searching the same flight, with a return, and you’re likely to find a better deal. Do check your chosen airline’s stance on “throwaway ticketing” before purchasing a return flight you won’t use, however, since it’s prohibited in some cases. 5. 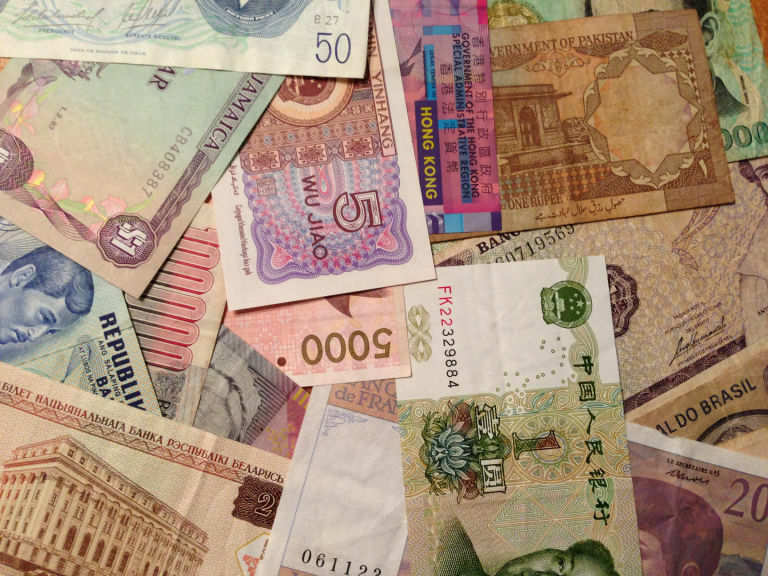 Tip to save money on travel: Embrace the layover. Nonstop flights are undoubtably the most convenient, so no wonder they’re the most expensive. If you’re out to save money, scheduling a direct flight with stops or a layover flight is much more budget friendly, so consider those options first, and use the extra time you’ll have to nap or study up on the things you’ll do once you arrive… just be careful not to spend those savings on pricy airport food. 6. 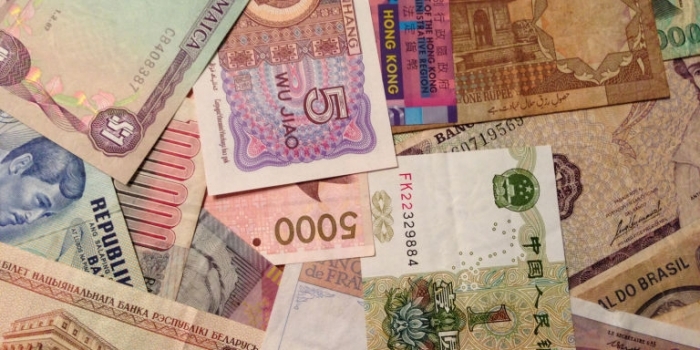 Tips to save money on travel: Use a travel agent. Sometimes passing up an app or site to deal with someone directly can help you go farther and spend less. Visit an office such as Flight Centre or VietnamCheapPackages in person to talk through your travel needs with an actual human and discuss the best options for your budget and plans. This little known trick can save you hundreds, so think before you hit up Expedia. Sometimes booking a tour via a travel agency costs lower than doing it yourselves. Imagine a day-tour to Halong bay costs US$ 35 p.p., or an overnight tour to Mekong delta costs only US$ 33 p.p./per day, all-inclusive. Arranging all things by yourselves should be double pricy. 7. Know your discount status. Students, military members, and bank customers can potentially receive heavy discounts on some flights. If you’re not sure, or think there might be a applicable discount for your situation, don’t be afraid to phone the airline and ask. Be sure to check if these discounts apply at attractions once you’ve arrived at your destination, too. If you don’t absolutely require the flexibility an anytime single to allow you to travel on any service at any time, committing to a journey through Advance fare can often save upwards of £100. Also consider railcards before buying any single tickets if you’ll be travelling by train often. Some tips for a train travel on budget: Choose sleeper train (then you save hotel expenses), Don’t purchase your ticket during peak buying hours, Buy Advance fare tickets, and buy them early. If you’re searching for the same site regularly, some ticketing sites may raise prices based on your apparent demand by accessing your cookies. Avoid giving this information away and being overcharged by clearing your cookies, or searching through an incognito window on Google Chrome. 10. Follow-up air and train lines, destinations, and travel sites online. It pays to be in the know, so never hesitate to sign up for travel newsletters, or to follow tour companies, airlines, and other travel sites online. Most will go to social media and email followers first with exclusive deals, not to mention contests if you’re looking for freebies. If you don’t want your inbox and feeds cluttered, create new accounts and Twitter lists specifically for curating travel deals. Consult a range of sources and know all your options for your trip before you pay for anything – compare prices, prioritise experiences, and consider new ways to travel that could save you money. Check out these 16 helpful websites for making the most of your travel experience without breaking the bank. 12. Search fares directly from the airline. If you use a third-party booking source like Kayak or Expedia, be sure to check the price at the airline’s website to make sure you’re getting the deal you think you are. In some cases, booking fees from third party sites, or special deals from the airline may change the affect the final cost in an unexpected way. 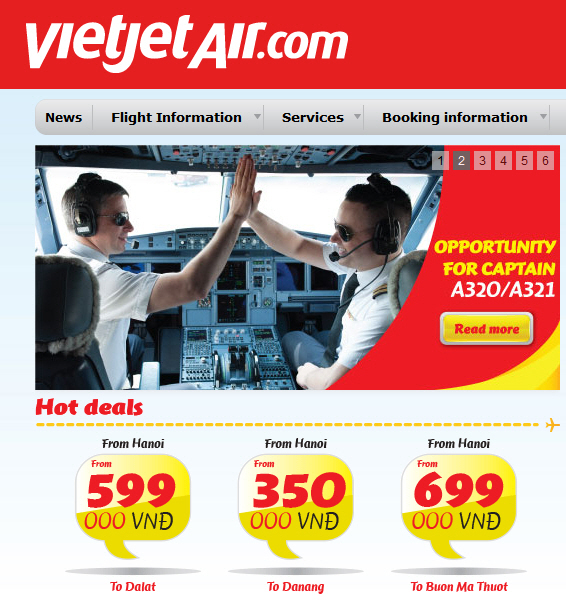 Check it out VietJet Air official website to find some regular low-cost ticket promotions, and know the best fare for your route. This low-cost carrier offers all domestic routes in Vietnam and international route to Taiwan, Korea, Bangkok, Siem Reap and Singapore. 13. Use discount keywords in your search. Something as simple as Googling through key search terms can help you stumble on deals and shortcuts you wouldn’t have otherwise found. Do an exhaustive search pairing your destination, airline, and third party booker with keywords like ‘discount’ ‘voucher code’ ‘promo’, or ‘coupon’, to see iof what comes up might be useful. 14. Look for alternative accommodations. If you want to save money during your trip, don’t book a hotel. Instead consider any number of alternatives, from AirBnb to couch surfing to camping. Renting directly from the owner of a home or opting for a hostel instead of a hotel could save hundreds of pounds in the long run, and enrich your journey by giving you a less isolated experience. 15. Look out for museum and attraction free days. 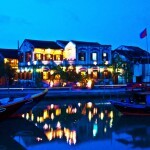 Keep tabs on hot attractions in your destination city to know when their will be price offers that will save you money, many major museums like the Vietnam Ethnology Museum offers monthly free days of Water Puppet show, as well as other discounts. Also research what attractions are regularly free so that you can fill up your itinerary with cost-effective outings. 16. Save data without getting lost. 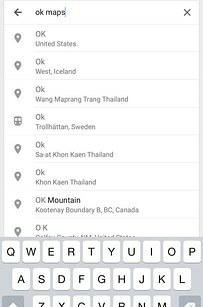 -In the search bar, type ‘ok maps’ and hit search. Note that this only works for area maps, you can’t save directions this way. Save money and see a destination in a new way by taking advantage of the public transportation system. Cabs and charter busses can charge 10 times the amount to cover the same distance as a regular city bus or underground, so give up your personal space for the safe of your bank account. Many cities across Vietnam and Cambodia, including Siem Reap, Hanoi, and Hoi An offer a bike sharing system that’s insanely affordable and allows you to pedal your way through the city. Get to your next location for free using your own feet. For bonus points (and to save on expensive tours), download the City Maps and Walks app to get routes and learn about the area as you go. 20. Don’t replace a forgotten charger. If you forgot to pack your charger and are staying a hotel, ask the front desk if they have any spares. Often, hotels keep a stash of left behind chargers from former guests, and you can avoid the unforeseen expense.